Nikon has announced the successor to its highly-popular Nikon D5000 D-SLR camera – Nikon D5100, which incorporates a 16.2 MP CMOS sensor, swing out 3″ Vari-angle monitor, full HD 1080p D-Movie recording at up to 30 fps and 4 fps high-speed continuous shooting capability. In order to explore your creativity, Nikon D5100 includes a range of new stunning in-camera special effects for easy capturing unique cool photo and full HD D-movie. One of the most notable effects is Selective Color, which lets users to choose up to 3 colors to appear in a scene while the remaining will be monochrome. 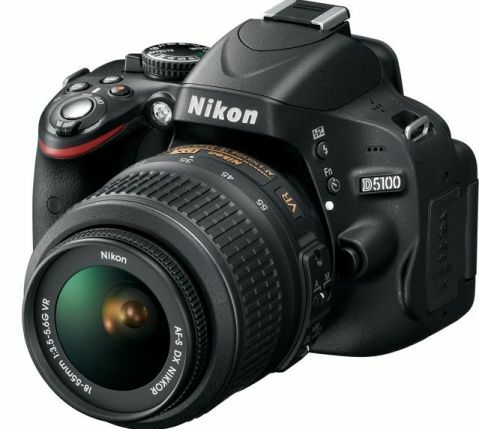 The new compact and lightweight Nikon D5100 digital SLR camera which measures 128 x 97 x 79 mm and weights just 505 grams is slated to be available starting mid-April 2011 for around $800 / £669.99 / €777 (body only) and $900 / £779.99 / €904 (camera kit includes a AF-S 18-55mm f/3.5-5.6G VR lens). In addition, Nikon also announced its new optional stereo mic crafted specifically for DSLR cameras – Nikon ME-1, which costs $180 for purchase, allowing D-SLR enthusiasts to experience video footage with superior stereo sound (without AF-noise).